Jake Trotter, a college football writer for ESPN, says offensive coordinators commonly map out their first few plays in order to practice them the week leading up to the game. That's called a play script. The idea for a decoy script started off as a joke between Leach and Assistant Coach Cale Gundy, about messing with Texas before the game. Leach then decided to actually do it, and formulated a plan that would not only throw off Texas, but give Oklahoma an edge. Despite the hinky play script, Texas beat Oklahoma that year, 38-28. Trotter says that it was Texas' biggest comeback in 34 years. Despite the heated rivalry, even Texas Defensive Coordinator Reese had a laugh about the trickery. “They thought it was funny 19 years later," Trotter says. "And they especially think it’s funny cause they ended up winning the game. As Mike Leach put it, it would have been a lot more legendary had Oklahoma won this sucker,” Trotter says. 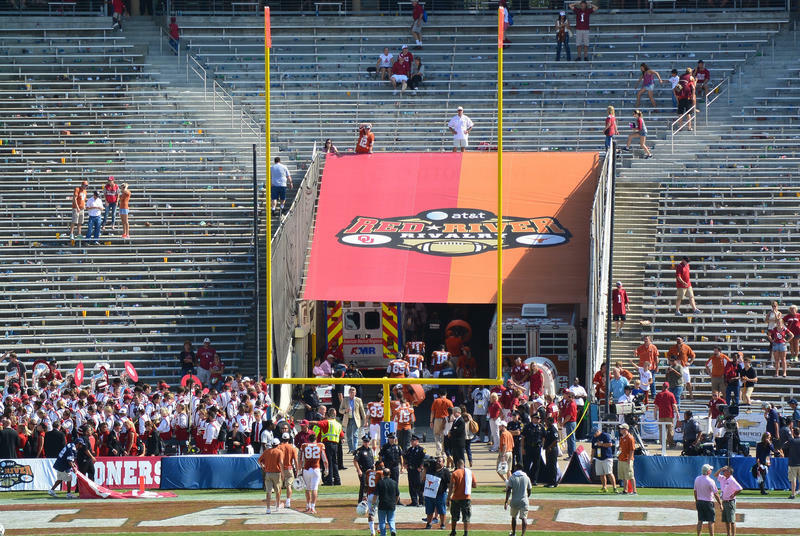 A Century Ago, Longhorn Fans Hated Bevo And, Eventually, Barbecued Him. 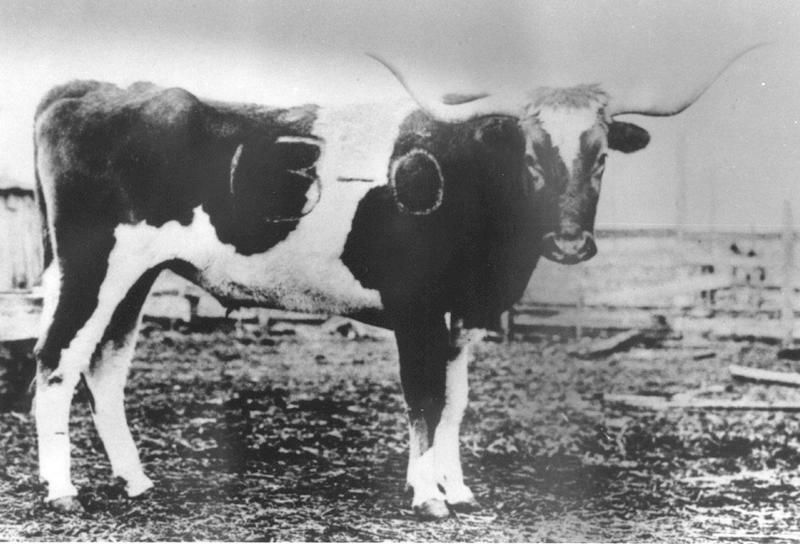 Bevo, the bovine booster of the University of Texas Longhorns, is a nearly century-old institution. There have been 14 incarnations of the mascot, with the 15th making its game-day debut this Sunday at the Longhorns’ opener against Notre Dame. But Bevo wasn’t always a beloved fixture on the sidelines. In fact, people kind of hated him.